Email deliverability is a big concern for online marketers as it affects marketing reach, brand perception, and has the potential to impact on your revenues from email marketing. An estimated 95 per cent of all email received by AOL, Gmail, and Outlook is spam (although Internet Service Providers are able to block 85 per cent of those emails), and the other 5 per cent is received from legitimate brands, who must prove to internet providers that their messages are permission-based and valid (Source). Spam can be defined as unsolicited email that is bulk-sent to a list of people. Spam filters, therefore, are there to protect the consumer’s inbox - and their action is one of the most important reasons preventing emails from getting into the recipients’ inboxes. Your emails can still be caught by the spam filters, even if legitimate and permission-based - this is called a ‘false positive’ (when your emails get flagged as spam by mistake) - and whether by mistake or not, these abuse reports will negatively affect your email deliverability rates. The only way to avoid it is to understand how spam filters work and how to avoid triggering them. Spam filters go through a list of spammy criteria when judging an email (criteria that are constantly updated according to what each individual marks as spam in their own inboxes), weigh each factor and add them up to a final spam score. There is a passing score threshold (that varies between email services), so if your email campaign exceeds it, it will go straight to the junk folder or, if the score is really high, it will be deleted and not even make it to the junk folder. Most spam filters work by assessing two major factors, reputation and content. All messages are first analysed by behaviour and reputation of the sender - filters like greylisting, blacklisting, SPF (Sender Policy Framework), DKIM (Domain Keys Identified Mail), IP analysis, and many more. Reputation has to be earned - you don’t start out with a good reputation when you first send an email (but instead with a neutral one), so you need to nurture that reputation and it should build up gradually. You can ensure your reputation is sparkling by marketing to clean and permission-based lists - abuse reports and user complaints are some of the most common reasons for emails to be flagged as spam. Email services differ on how they block emails - sometimes only some recipients complain/unengage with an email causing the whole rest of email sends to be marked as spam. Furthermore, no email service will provide an explanation as to why an email did not land in the inbox, as they want to avoid tipping you off in case you’re a spammer. Another factor involved in your reputation is the domain and IP address you use to send your emails from. All emails sent from your domain will earn or lose reputation depending on what you send to subscribers (you can think of your domain as a “reputation bucket”), so you must protect the reputation of all emails sent from that domain. If you have a shared IP address (rather than a dedicated one) your reputation may also be affected by other users of that IP address, so if a lot of spam originates from your shared IP your deliverability may be decreased. However, most reputable email servers that offer shared IPs go to great lengths to prevent their users sending spam and affecting their IPs. Always provide an unsubscribe link that works for at least 30 days after sending. Make sure DKIM and SPF settings are correct for all email service providers you use. Use the double opt-in subscription method, so you have proof that each recipient gave you permission to market to them. Don’t continue to send emails to previously bounced addresses. Make sure your email looks reputable - use your logo in the header or any other signature elements that make your emails look reliable and legitimate. Make sure you only link to legitimate websites and domains, including image links (host them at credible services). Implement email marketing best practices e.g. contact your subscribers right after they sign up with a welcome campaign, and let them know what they can expect from your emails. Make sure you have a reliable sender email address, as email services will assess it. Avoid emails like “noreply@yourstore.com” or other unclear names to start building a good reputation and win the trust of your subscribers. Look out for particular email services that may have marked your campaigns as spam in the past. After the first reputation scanning, the actual email content is assessed - filters such as pattern analysis, dynamic content filtering, anti-virus, image conversion, etc. Content filtering is not just about specific words in the message, but instead about the overall context of the email. The content is just a way to identify mail that might cause problems - complaints, low engagement, bad addresses. (Note that changing content can cause an improvement in delivery but, if your content is flagged because of user complaints or bad recipient profiles, the content filters will eventually catch up and influence your reputation score). Don’t use phrases like “Free” or “Click here!”, don’t use excessive exclamation marks (!!! ), or write all text in CAPS. Even though subject lines alone are no longer a reputation factor, subscribers will often decide to open or delete your emails based merely on subject line, which will affect your reputation. Don’t use “test” in the subject line, and avoid sending a test to multiple recipients within the same company (your company’s email firewall may assume it’s a spam attack). Avoid converting a Microsoft Word file to HTML. Be aware of email size - avoid going over 30 kb. Don’t create an HTML email with nothing but one image, with little/no text (spam filters can’t read images, so they assume you’re a spammer trying to avoid them). So make sure to balance the image/text ratio. Don’t send emails to inactive lists (we’ll explore this further on the ‘subscriber engagement’ section below) or stale lists (permission usually goes stale within 6 months, so you’ll have to reconfirm it if you haven’t emailed subscribers in that period). We’ve mentioned above how spam filters are constantly updating their criteria by “learning” from what individual users class as spam in their own inboxes, through open, click-through or reporting behaviours. Individual user behaviour therefore affects the overall email deliverability of the sender, and determines if an email arrives at the inbox or at the junk folder - deliverability is becoming more and more personalised for all emails sent from a particular sender/domain/IP address, which is why reputation is so important. Even though reputation and content filters are extremely effective at filtering “spammy“ content, email services are now currently looking at subscriber engagement metrics to determine their filtering decisions - they will analyse individual user actions and combine them with their algorithms to decide whether an email should make it to the inbox, based as well on the sender’s reputation. When an email service detects low engagement rates for a campaign, they will start to bulk-send emails from that sender directly to the spam folder, and then block that domain and IP address. Now, despite part of this engagement data used by the recipient’s email service not being accessible to marketers, you can still focus on the engagement metrics supplied by your own email service provider, as a sender. 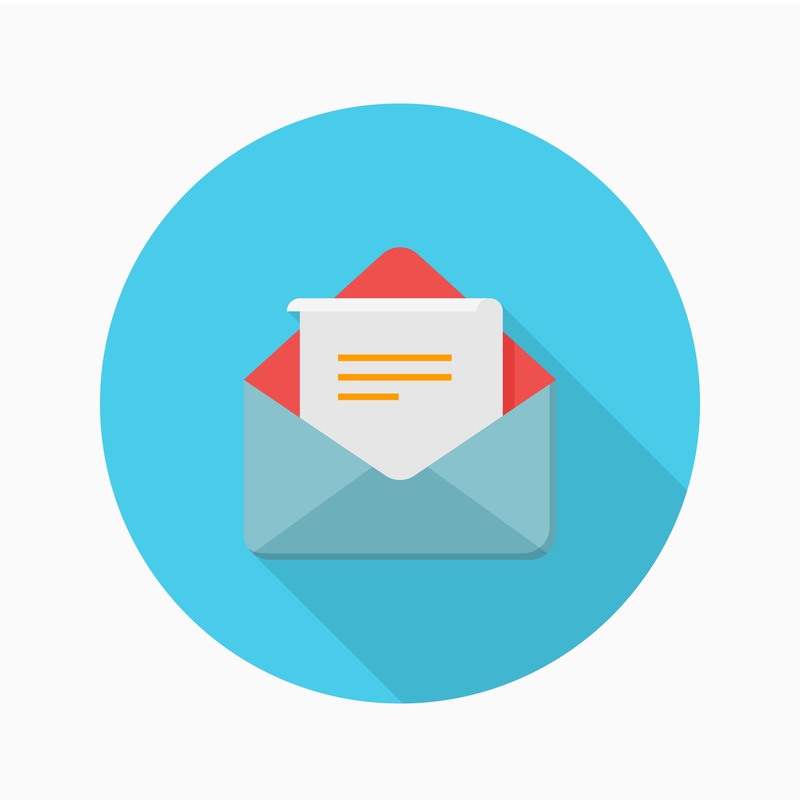 If you filter your mailing list by subscribers who recently opened and/or click-through your emails, you can prevent the recipient’s email service from classing your campaigns as spam. This subscriber engagement segmentation will allow you to market only to responsive, engaged subscribers who actually want to hear from you, and suppress all negative reputation metrics caused by inactive subscribers who are likely to complain, invalid email addresses, or spam traps. Filter your subscriber list by engagement metrics such as open rate or click-through rate, to ensure you’re sending emails only to active and engaged subscribers and avoid spam traps or user complaints. Finally, there is often some confusion around the concepts of inbox deliverability and hard bounce. As a sender, you won’t be able to find out whether an email was moved to the spam folder and deleted, as your email service provider won’t receive this information from the recipient’s email service. A hard bounce is when the recipient's’ email service tried to deliver your email but could not, in which case you receive this feedback - but if your email gets spammed you won’t find out about it, as email services will try to provide the least “spam feedback” possible (to avoid being tricked by spammers). Having said that, inbox deliverability measures the amount of emails that successfully arrive in the recipient’s email service. However, note that inbox deliverability rate is the number of emails that you sent that were successfully delivered to recipients - and not an overview of whether your email went into the spam folder or the inbox. As long as your email is delivered, it is counted as a positive delivery no matter what folder it is placed in by the recipient’s service provider. This is a metric you should really focus on and compare against subscriber engagement metrics - that will provide you with a clear picture of how your subscribers are engaging with the messages you send them. So how can you improve your inbox deliverability rate? Keep a consistent positive sender reputation, considering all the points we mentioned above on the reputation chapter. All behaviour and feedback from subscribers and mailing reports will greatly contribute to a positive (or negative) reputation, so deliverability can be increased with good engagement metrics such as open rates, click-through rates, and being whitelisted. Entice your subscribers to whitelist your domain or IP address by asking them to add your sender (“from”) email address to their address books. This practice will prevent your future emails from being blocked by spam filters. Monitor your deliverability on a regular basis. A way to do this is by adding a seeded list of about 50 or 100 email addresses using email services that are most used by your subscribers (like Gmail, Hotmail and Yahoo); then set up a few accounts for each provider; then include the seeded email addresses in the mailing list of each. After that, all you need to do is log in to each provider and check if the email was successfully delivered, and compare the inbox delivery rates you get between the different email services. Individual users have more power than ever to decide what will end up in their inboxes, and this directly affects your deliverability rates. Ultimately, making sure you send relevant messages to engaged subscribers who have actively asked to hear from you, and monitor engagement metrics regularly is the only way to build up a good reputation and avoid being caught by spam filters.